The judgment in Auckland v Khan & Anor  EWCA Civ 1148 is in short form. However it does illustrate the difficulties of appealing on “pleading points” and findings of fact. The trial judge had found that the appellant had entered into a loan contract with the respondent. The agreement had been entered into by the respondent’s father. The judge found that the father had the respondent’s authority to enter into the contract. The appellant appealed arguing that the agency point was never pleaded and that the issue of the father’s ability to act as an agent had never been put to the appellant at trial. The only issue on this appeal is whether Mr Recorder Klein was entitled to find that Mr Jumma, the appellant’s father, had authority to commit the appellant to a loan contract with the respondent on the terms alleged by the respondent and found by the Recorder. The two central submissions made by Mr Piers Hill, counsel for the appellant, are that (1) there was no evidence before the Recorder capable of sustaining the Recorder’s finding of fact that Mr Jumma did have such authority, and (2) the existence of such authority was never put to the appellant in cross-examination. Although Mr Hill has said that the appellant does not take a pleading point on the fact that the Particulars of Claim do not make an express allegation that Mr Jumma acted within his authority as the appellant’s agent in entering into the loan agreement on behalf of the appellant, he relies upon the absence of such an allegation as setting the scene for the importance of the failure to put the agency point directly to the appellant in cross-examination. It is convenient to address the pleading point at the outset. Mr Hill’s submission on this point involves an implicit assertion that it was for the respondent expressly to allege Mr Jumma’s agency in the Particulars of Claim. We do not accept that assertion. 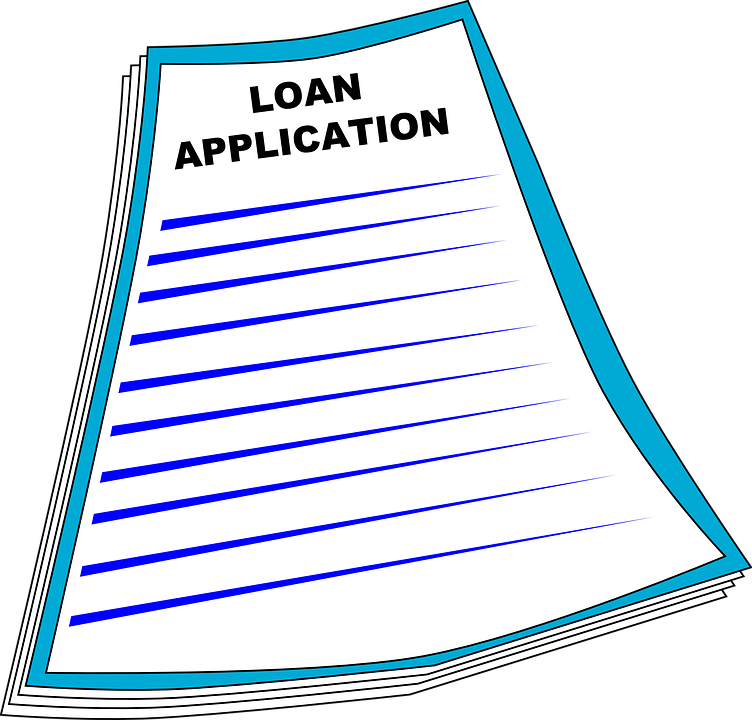 The Particulars of Claim allege the facts necessary to establish the cause of action, namely that there was a contract of loan between the appellant and the respondent. The Defence was that the property in Albion Street, Castleford (“the Property”) was not purchased with the respondent’s own money but with family money belonging either to Mr Jumma or to other members of Mr Jumma’s family, including the defendants, or all of them. The Defence does not, as it ought to have done, address the situation if the respondent established that the £38,000 advanced by him towards the purchase was his own money and was paid as a loan. It would have been in that context that the appellant could and should have raised the issue of absence of authority on the part of Mr Jumma to commit the appellant to any loan contract with the respondent. The allegation of the existence of such an agency was plainly implicit in the respondent’s second witness statement, in which he states expressly that he did not have any direct discussions with the defendants regarding the loan, that all of the discussions were between the defendants and Mr Jumma, and that the respondent made the loan because Mr Jumma asked him to do so. Even at that point, the appellant could have amended the Defence to assert absence of authority on the part of his father to commit the appellant to any such loan agreement or could have sought to put in a further witness statement to address the point. Furthermore, what was common ground by the time of the trial was that the family arrangements between Mr Jumma and the defendants were that Mr Jumma had general control of the family resources, including the defendants’ earnings, and that he would apply those resources in the purchase of property both in this country and in Pakistan without requiring express authority from any other member of the family. Such an arrangement of general financial control by Mr Jumma is asserted in paragraph 3.5 of the Defence, in paragraphs 7 and 14 of the second witness statement of the first defendant, in paragraphs (10) and (11) of the appellant’s witness statement dated 26 June 2015 and in the replies to the respondent’s request for further information of the defendants’ Defence. Far from that evidence indicating that Mr Jumma did not have authority to enter into a loan agreement to procure the purchase money for the Property, the implication is that it was left entirely to Mr Jumma to make whatever arrangements he thought appropriate to procure the relevant finance. Against that background, there is considerable force in the submission of Mr Stuart Roberts, counsel for the respondent, that by the time of the trial it was not in issue that Mr Jumma had general authority to make whatever arrangements he considered appropriate for the purchase of property for the benefit of members of the family. So far as the loan allegation is concerned, the focus was on whether or not the defendants were correct to say the money advanced by the respondent was not his own money but that of Mr Jumma or members of his family. In any event, questions relevant to the existence and extent of Mr Jumma’s authority were put in cross-examination. The first defendant was cross-examined about the control of Mr Jumma over the family assets and the extent of his ability to make decisions about purchases and investments. It was expressly put to the first defendant that, if money was going to be borrowed and property was going to put into the name of himself or the appellant or just the appellant, and the loan was going to have to be repaid, Mr Jumma would arrange for it so that, whoever was buying the property, would have to be responsible for the loan. The first defendant’s answer was to deny that his father would ever arrange a borrowing. That evidence was, however, disbelieved by the Recorder. Mr Hill submitted that, notwithstanding that answer, the cross examination should have continued with the question whether, if the first defendant’s evidence was disbelieved on that point, his father would have had authority to take out a loan. That seems to us to be quite unrealistic. The question was directly put as to the extent of Mr Jumma’s authority to commit one or other of the defendants or both of them to a loan agreement where necessary, and the opportunity was therefore given to the first defendant to deny authority. Furthermore, the point was not pursued in re-examination. Mr Hill further submitted that, in any event, it is fatal to the respondent’s case that the same direct question about Mr Jumma’s authority to enter into a loan agreement on behalf of one or other or both of the defendants was never put to the appellant. Again, while Mr Roberts himself accepts that it would have been better in hindsight to do so, there is an air of unreality about Mr Hill’s submission as to the consequences for the respondent of the question not being put directly. The appellant in cross-examination did directly address the question of the loan arrangement, and repeated the gist of the answer of the first defendant, namely that his father “didn’t believe in taking money from anybody” and that his father told him “never to take credit”. Again, it is a necessary implication of the Recorder’s finding that Mr Jumma had agreed the loan agreement with the respondent that Recorder disbelieved the appellant’s evidence on that point. Again, it is unrealistic to suggest that the respondent’s case on the loan agreement is entirely undermined by the failure to put to the appellant in cross-examination that, if he was disbelieved in his evidence that his father would never have agreed to take any loan, the father would have had authority to enter into a loan agreement on behalf of one or other or both of the defendants. There are certainly cases in which the failure to put a central feature of a case to a witness is so serious that fairness requires the case or a particular point in question to be rejected. This is not such a case. Furthermore, as Lady Justice Gloster observed in the course of oral submissions, the Recorder made a finding of fact in paragraph 43 of his judgment that it was inherently probable that Mr Jumma discussed the proposed loan with the appellant, which resulted in an agreement that the appellant would be ultimately liable to repay it. Mr Roberts put to the appellant in cross-examination that the proposed loan agreement was discussed between the appellant and his father. The appellant denied that was the case but the Recorder did not believe his evidence. That finding, which turned on credibility and the Recorder’s assessment of all the evidence in a two-day hearing, cannot be and is not challenged on this appeal. It fatally undermines the appeal because it amounts to a finding of actual authority. For all these reasons we dismiss the appeal. In my view this decision is wrong and there was an onus on the Jummas to plead and prove the agency.